Women-Drivers.com recently named its top dealers for 2015, honoring both franchised and independent operations. Based upon the number of reviews received and the aggregate scores of those reviews, site officials highlighted these dealerships have consistently demonstrated exceptional trust, respectful and fair experiences toward women when shopping, purchasing and in the service drive. 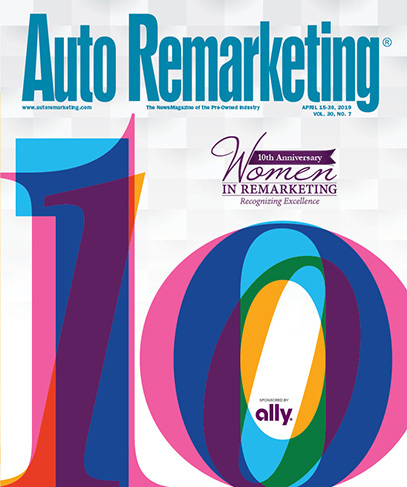 —Day Automotive Group as the 2015 Certified Women-Drivers.com Auto Group Dealer of the Year. —Midgette Auto Supercenter as the 2015 Certified Women-Drivers.com Independent Dealer of the Year. —Diver Chevrolet as the 2015 Certified Women-Drivers.com Dealer of the Year. “Each of these dealerships clearly are performing at an exemplary level with this growing buying segment. Over half of all cars are purchased by women and further, women rely on car dealer reviews twice as much as men when buying,” Women-Drivers.com president Anne Fleming said. “Not only are these top distinguished dealerships getting excellent satisfaction scores, they are showcasing true transparency and exceptional customer treatment on an on-going basis,” Fleming added.